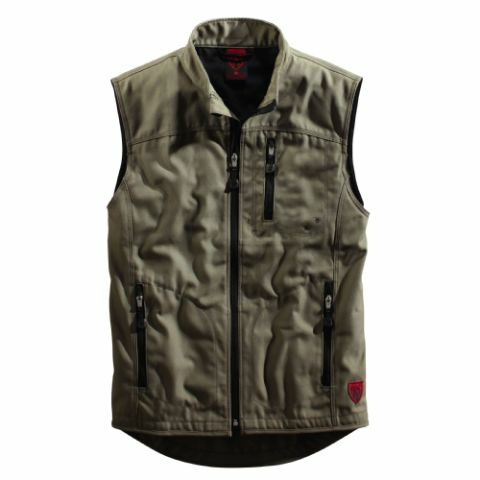 Vests protect, warm, and look good! Whether underneath or on top, single-colour or with accent, with work trousers or jeans, with thermal function or as classic business combination – a person would not want to do without so much versatility. MEWA vests are real all-round talents. 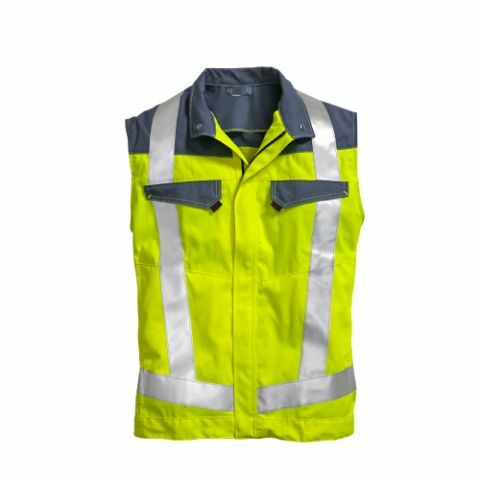 As part of our professional clothing, we offer suitable vests for a wide variety of industries and requirements. 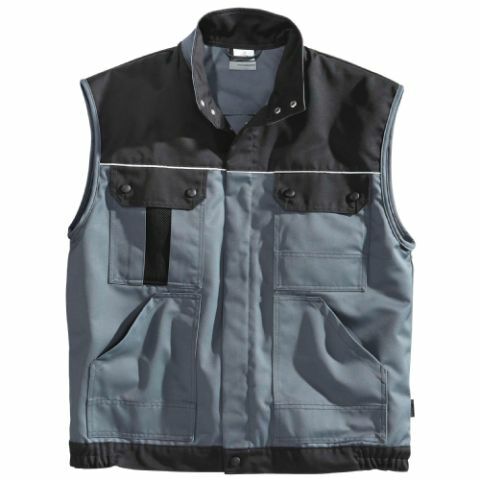 In the trades the robust work vests, lined with fleece are preferred for tasks in cooler environments or on cold days. 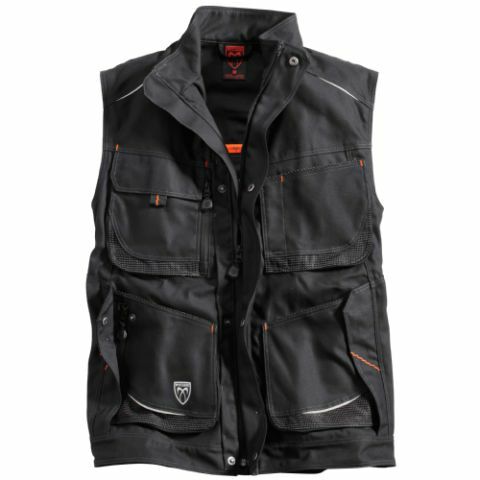 Many practical pockets with zippers, as well as reinforcements of the pocket bottoms make the work vests extremely functional. On the other hand for employees in the service sector, naturally the attire can be somewhat finer. Form-fitting tailoring and the attractive designs of the individual vests perfectly round out the visual appearance of service personnel. The high-quality vests of our collections can be perfectly combined. Our business vests are entirely classic, but certainly not boring. Whether for men or women, with suit, skirt or jeans, with blouse or shirt – you skilfully stage each outfit. MEWA vests are available in the practical rental arrangement. 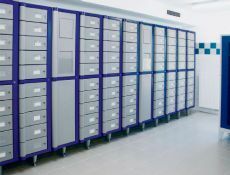 This means: We bring, pick-up, wash and repair your vests, punctually and reliably. 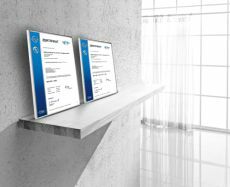 "Are there work vests from MEWA with reflective piping?" "Can I also combine my MEWA vests with waist aprons?" "On cold days can I also combine vests with a jacket?" A garment with many different functions – depending on the collection our work vests satisfy a wide range of requirements. Behind the counter, in sales or service – for employees in the grocery business or the catering trade vests are a neat, stylish supplement of the outfit. Classic, elegant, as well as sporty and chic, the vest automatically indicates a professional presence and at the same time it offers optimum freedom of movement. With trousers, skirt, waist apron or bib apron – our vests are always an eye catcher. 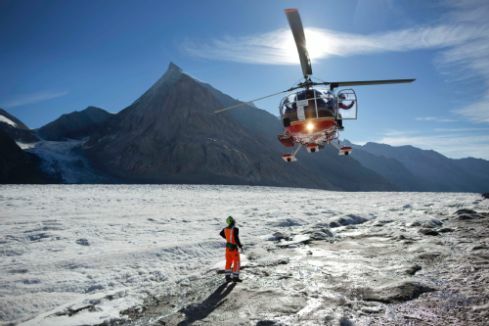 For tasks in cool rooms or on cold days the work vest is an ideal companion. With a light lining it can also be ideally combined with fleece or softshell jackets. 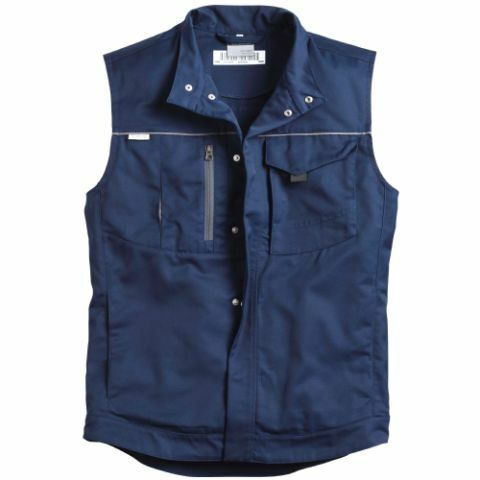 Best of all: MEWA work vests have reinforced pocket bottoms and offer adequate space for screws, nails, tools and many other work items. Supplemental reflective piping sets visual accents. 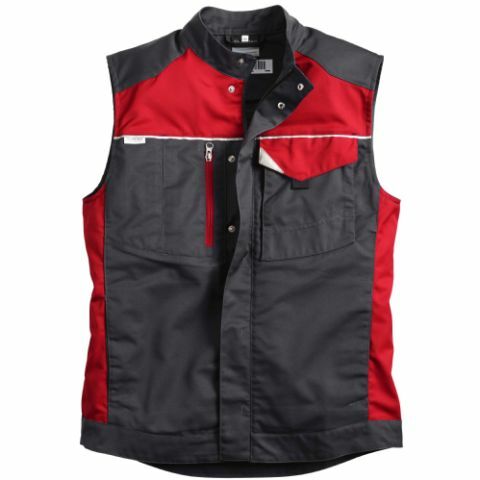 Ensure variety in the daily work routine – with vests for men and women suitable for the business look. Unpretentious, modern and simply elegant, the vest sets a tasteful accent. They can be worn easily over blouse and shirt. Women skilfully combine a vest with trousers or skirt, men even combine a vest with jeans. 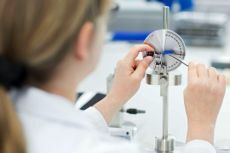 MEWA offers tight-fitting models as well as loose-fitting designs Both variants are impressive through comfortable fit. 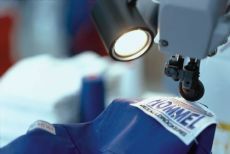 Good work has a name – on request we personalise your vests, naturally also with the name of the employees, logo or emblem. Talk to us about the MEWA embroidery and logo service.